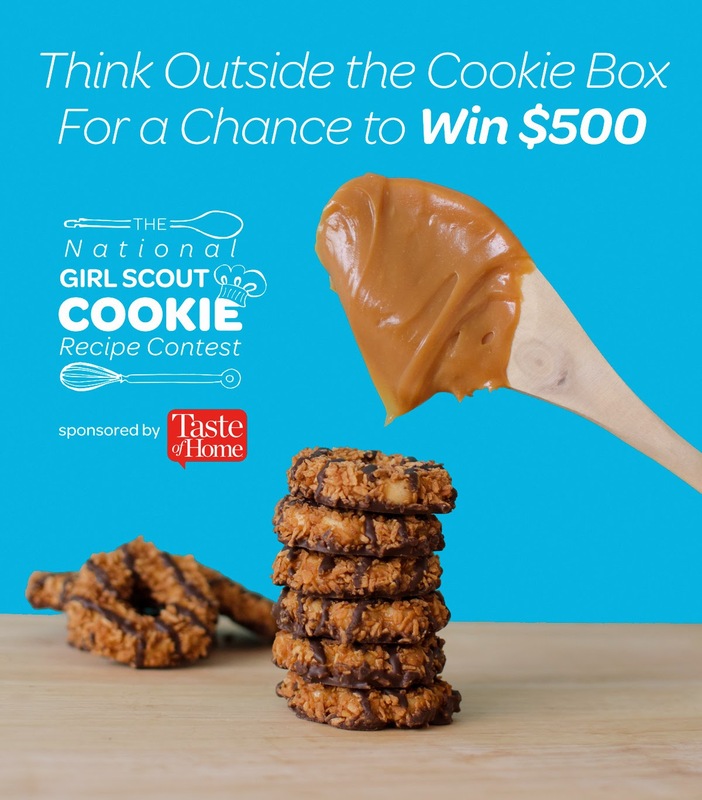 First National Girl Scout Cookie Recipe Contest Launches, Sponsored by Taste of Home! 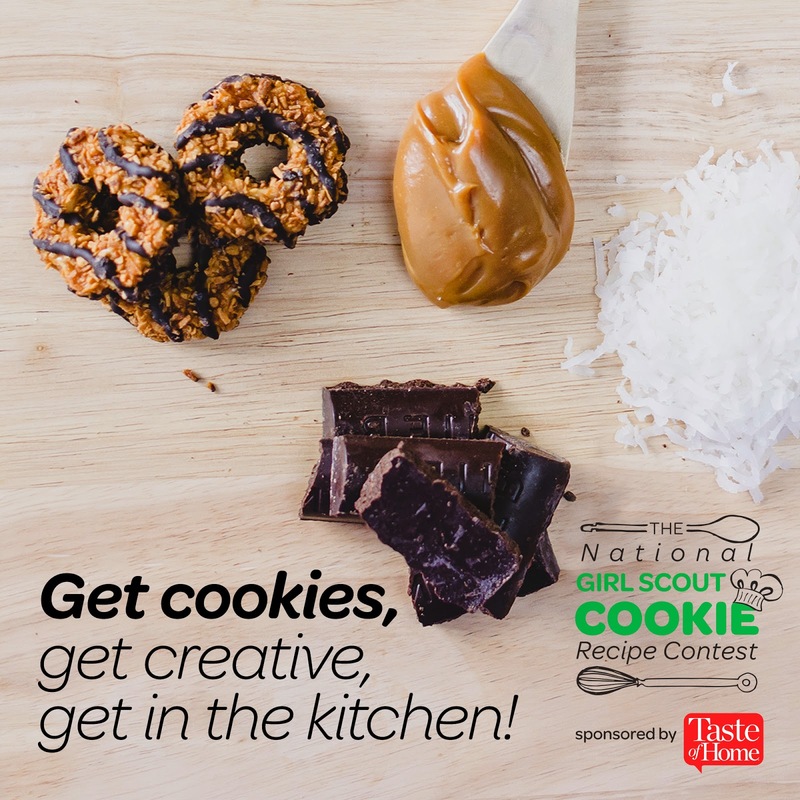 Today Girl Scouts of the USA announced the first National Girl Scout Cookie Recipe Contest, Sponsored by Taste of Home, the world's leading food magazine. Through March 2, Girl Scout Cookie enthusiasts can create and submit their favorite dessert recipes using the iconic cookies as ingredients, for the chance to win prizes ranging from$250 to $500, plus a spotlight feature in Taste of Home. Chefs of all levels, from home cooks to established professionals, are encouraged to submit Girl Scout Cookie-inspired entries in one of four categories: (1) cakes, pies, cupcakes, (2) cookies, brownies, bars, (3) pudding, ice-cream, gelatin desserts, and (4) candies. The experts in the Taste of Home Test Kitchen will review and test the recipes, selecting the top 16—four from each category—based on taste, visual appeal, creativity, and crowd appeal. From March 30 to April 14, the public will have a chance to vote for their favorite finalist recipes here. The recipes with the most votes in each category win and winners will be announced in mid-April. "Each year, we see so many excited cookie fans share their own recipes using Girl Scout Cookies via social media and more, so we figured it was high time to do something with all this positive energy," said Anna Maria Chavez, CEO of Girl Scouts of the USA. "The creative possibilities are endless, just like the number of ways girls use their cookie money to give back to their local communities." Taste of Home Editor-in-Chief Catherine Cassidy is equally enthusiastic about the contest and the opportunity to collaborate with Girl Scouts. "Fostering a sense of care and community in homes across America has always been part of the fabric of Taste of Home," she said. "As a Girl Scout alumna, I'm thrilled to lend a helping hand in and outside of the kitchen. We are pleased to work with an organization that encourages young women to put their skills and creativity to positive use." 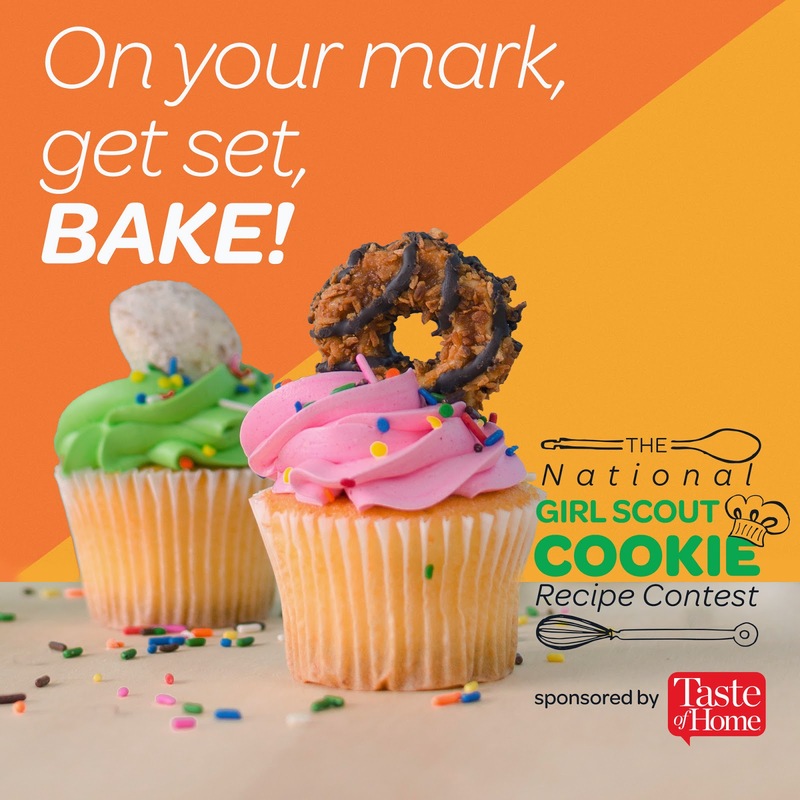 Participating in the National Girl Scout Cookie Recipe Contest, Sponsored by Taste of Home, could be a fun activity to do during this year's National Girl Scout Cookie Weekend (February 27 -- March 1, 2015). The weekend will celebrate the positive impact girls make on their communities through the Girl Scout Cookie Program. The Girl Scout Cookie Program aims to teach girls five essential life skills: goal setting, decision making, money management, people skills, and business ethics.